CAL ILCE-IG is pleased to announce a new round of grants. Past grants have funded international literacy projects and an international librarians conference. Successful grant recipients will receive up to $1,500.00. Click on the link to the ILCE-IG grants page for the latest application information. The International Library Cultural Exchange Interest Group was very active throughout CALCON 2018 delivering presentations, operating an exhibit, hosting a reception, and recruiting members of the steering committee. It wouldn’t be a conference without a visit to Nancy Bolt’s international jewelry exhibit. A portion of the proceeds of sales goes to the ILCE-IG grants. 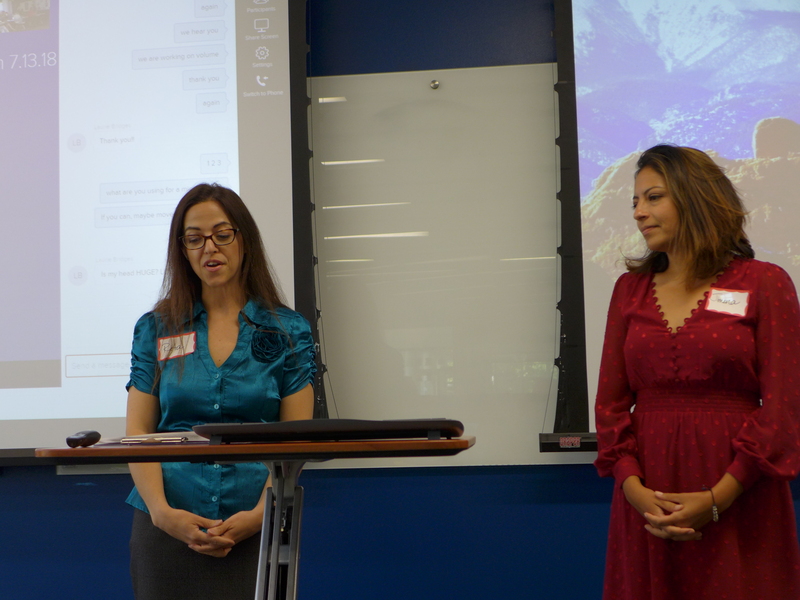 This past year, two grants were distributed: the first to Rita Puig and Jimena Breton for an international librarianship colloquium called “Colorado Librarians Touch the World” held at the Auraria campus in July 2018, and the second to Janet Lee sponsoring workshops and the publishing of an original children’s book with the African Storybook. The book was translated into two Ethiopian languages as well as three Kenyan languages. Supporting Nancy and international jewelry sales supports ILCE-IG and future grants. Janet Lee, Dean of the Library at Regis University, and Fulbright Scholar at the University of Aksum, in Axum Ethiopia, spoke on “Is a Fulbright in your Future: Ethiopia Land of Origins.” She described the application process of obtaining a Fulbright, landing in country, and the challenges and accomplishments of living and working in libraries abroad. See Janet’s PowerPoint here. 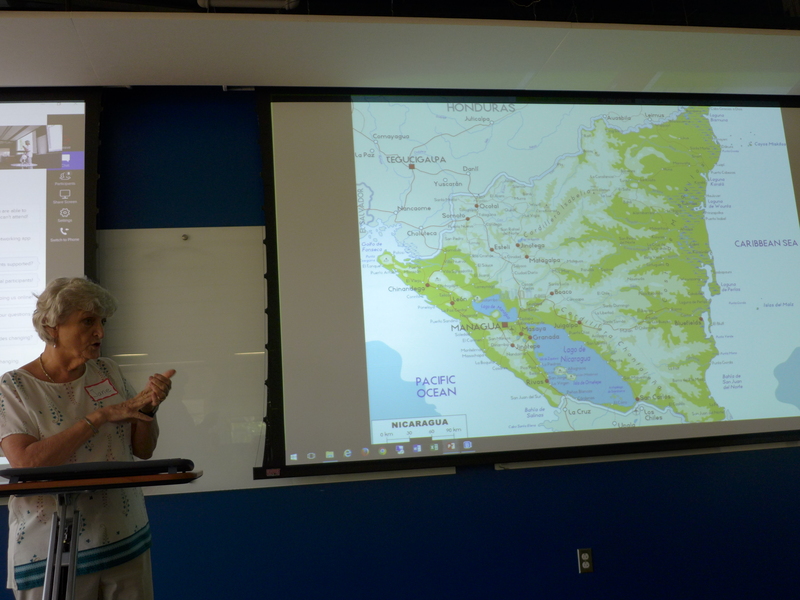 Jane Mirandette, of the San Juan de Sur Biblioteca, in San Juan del Sur, Nicaragua, spoke about the current upheaval in Nicaragua, and the challenges of operating a library in an unstable political climate. Travel to the country, including hosting volunteer groups, has been impossible making raising needed funds difficult. 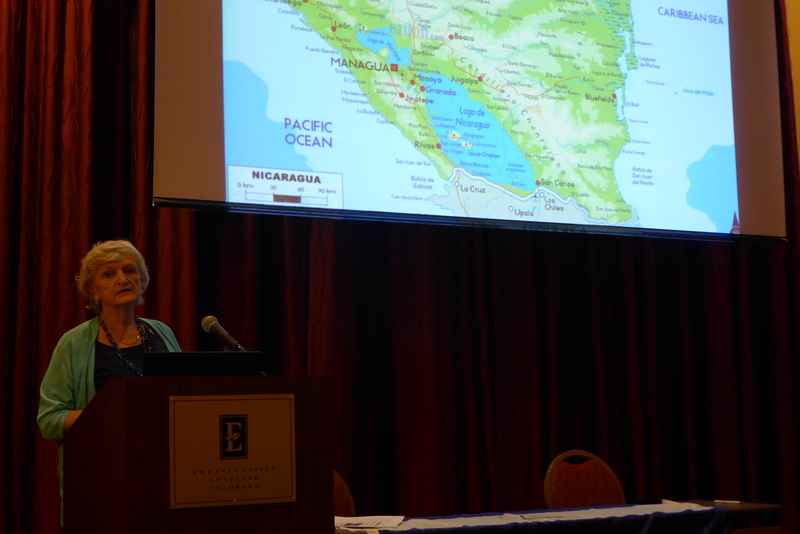 Jane discussed safety precautions for international travel and distributed guides and tip sheets on international travel. See Jane’s PowerPoint here. 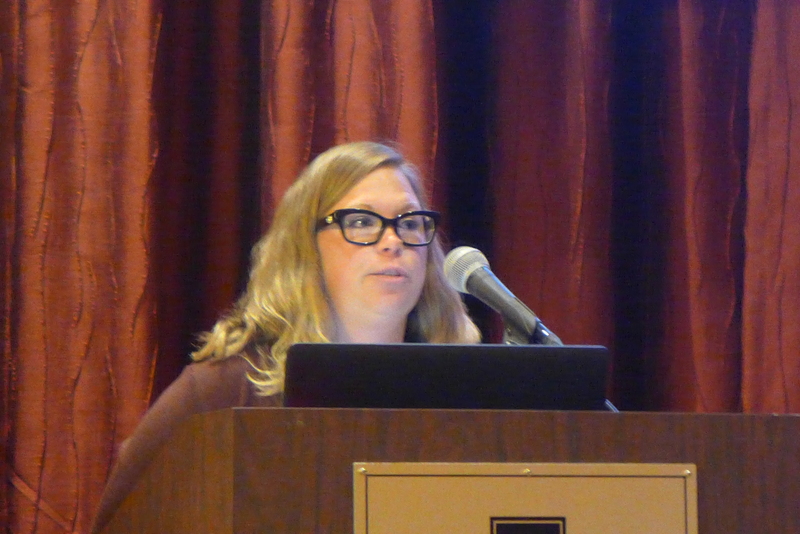 ILCE-IG would like to thank our newest steering committee member, Jen Yadav, Douglas County Library District, for helping to organize the session and for serving as facilitator of the session. Finally, ILCE-IG hosted its annual International adult beverage reception, where the group welcomed new members and interested parties. We look forward to seeing everyone again next year at CALCON 2019. Join ILCE to celebrate international librarianship at the CALCON 2018 conference at the Embassy Suites in Loveland, Colorado on September 13-15. The International Libraries and Cultural Exchange Interest Group is sponsoring a program at CALCON 2018. 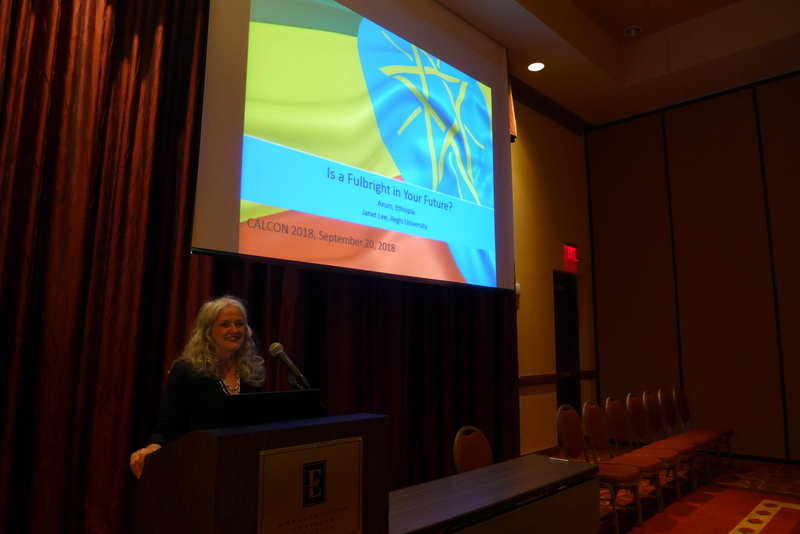 The session will be held on Thursday, September 13 from 3:15 p.m. to 4:15 p.m.
Janet Lee spent a year as a Fulbright Scholar in Axum, Ethiopia working with librarians and library users. Janet will speak on Is a Fulbright in your future? Ethiopia, Land of Origins. Jane Mirandette, Founder and Director of the San Juan del Sur Biblioteca, will give an update on the political situation in Nicaragua and how the unrest is affecting operations of the library, fundraising activities, and travel both to and within Nicaragua. The CAL International Library and Cultural Exchange (ILCE) Interest Group will again host an International Reception at CAL. This year the reception will be on Thursday, September, from 6:30 – 8pm. Stop by Nancy Bolt’s suite in the Embassy Suites for soft drinks, an international adult beverage, and an appetizer before you go on to dinner. Stop by Nancy’s booth at CAL for an invitation with the room number on it. 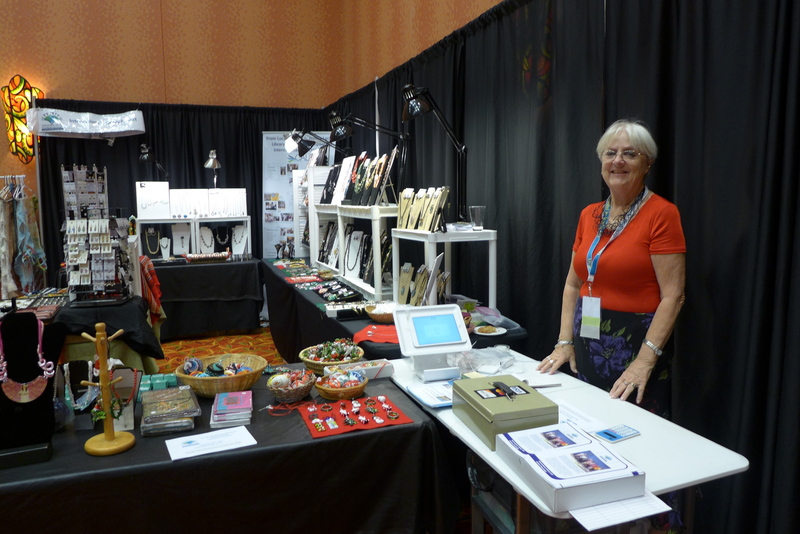 Nancy Bolt will again sell international jewelry and crafts to benefit international librarianship. Your purchase will support a grant for a cooperative project. 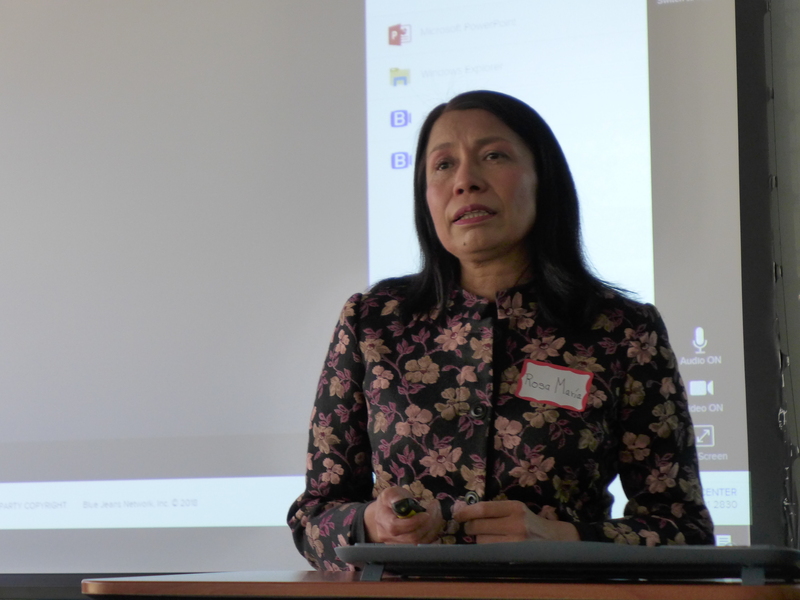 Janet Lee, Dean of the Library at Regis University and 2017-18 Fulbright Scholar Ethiopia, was a recipient of one of two CAL International Library and Cultural Exchange-Interest Group Grants. (see blog post on Rita Puig and Jimena Briton’s grant project: Colorado Librarians Touch the World. (https://wp.me/p3Laa1-k0). 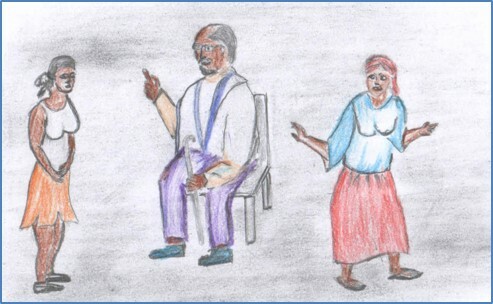 She is pleased to announce that two children’s stories coming from the grant have been published on the African Storybook (ASb) platform http://www.africanstorybook.org. 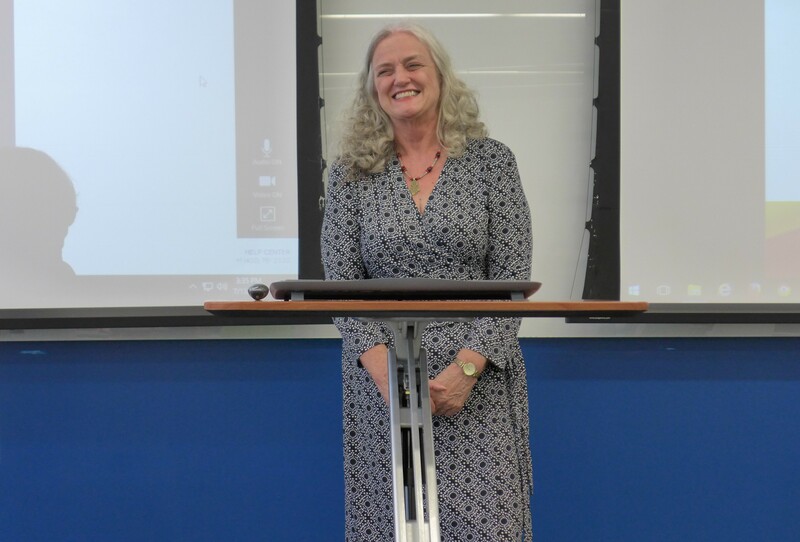 Janet was the recipient of a Fulbright Scholar award and traveled to Axum, Ethiopia in August 2017 and returned to Denver this June 2018. She was assigned to the University of Aksum and also volunteered at the Axumite Heritage Foundation Library. Ever interested in children’s book publishing in local languages, she became acquainted with African Storybook (ASb) through a Facebook contact/Peace Corps Volunteer, Ethiopia, where she had served in the 1970s. Upon her arrival in Ethiopia she contacted Mezemir Girma, the Ethiopian expert in Debre Birhan, Ethiopia, and they made plans to conduct the first of three workshops on children’s book publishing with African Storybook, funded in large part by the ILCE-IG grant. 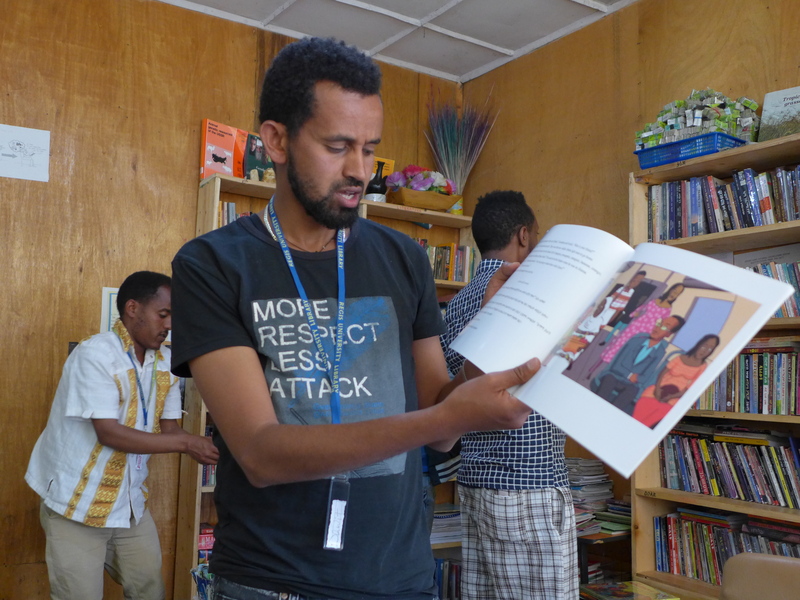 In November 2017, fifteen educators, librarians, and students attended the first workshop at the Ras Abebe Aregay Library in Debre Birhan, a joint library/bookstore owned and operated by Mezemir, an English instructor at Debre Birhan University. Throughout the day, the group participated in a full agenda that included the role of children’s books in literacy training, an introduction of African Storybook, a session on assessing ASb stories in Amharic and in English (what makes them good, how can they be improved), an overview of children’s reading in libraries in Debre Birhan, a story telling exercise, the use of technology in promoting children’s stories, and a brainstorming session that would develop into a publishable book. Customary tea breaks and lunch gave the participants an opportunity to network. At the end of the day, Mezemir distributed a flash drive complete with all of the downloadable Amharic storybooks that were available on the ASb platform. 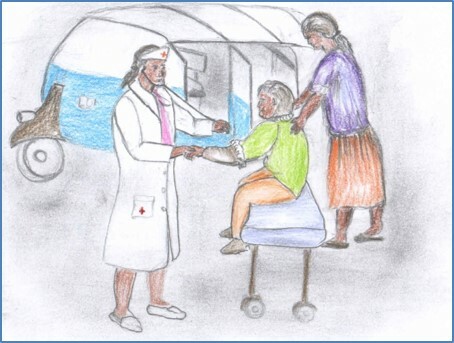 During the brainstorming session, the group focused on a topic suggested by Janet, the story of a female bajaj driver, having seen one in the town of Debre Birhan. A bajaj is the primary mode of transportation in the smaller towns outside of the capital of Addis Ababa. It is an enclosed, three-wheel vehicle that holds a driver and up to three passengers, is inexpensive, very mobile and can navigate paved, cobblestone, or dirt roads. Nearly all drivers are male, and the female seen on the roads in Debre Birhan was definitely an exception. 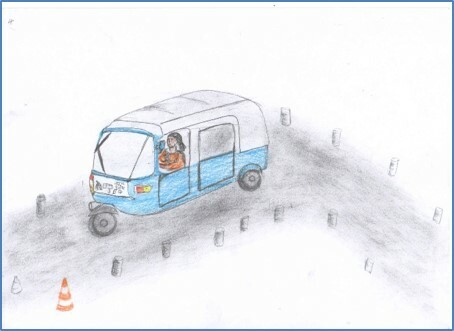 Several stories were drafted and a vote was taken on which story to publish: Abebech, the Female Bajaj Driver by Dawit Girma. Mezemir and Janet then worked on finding an illustrator for the story and after a few months enlisted the support of Yirgalem Berhanu. 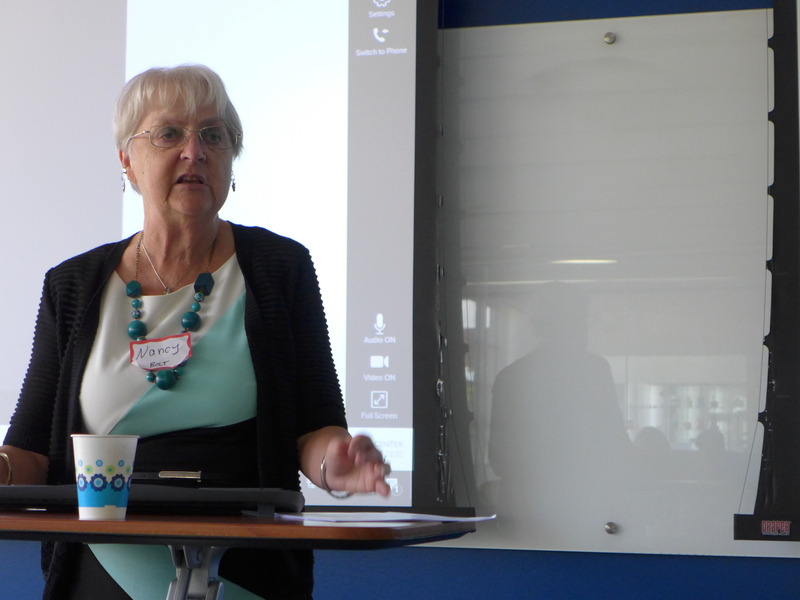 A second workshop was in the planning stages in late April for the town of Adama, a Sister City of Aurora, Colorado, when Mezemir and Janet attended a Global Digital Library launch at the Economic Commission for Africa campus in Addis Ababa. 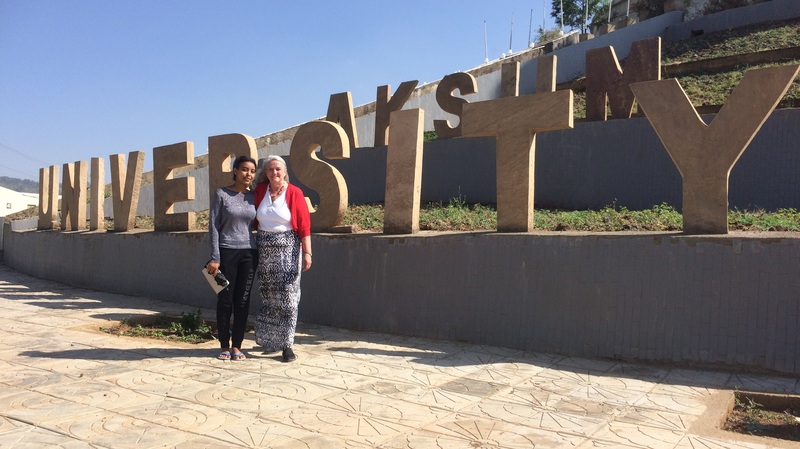 There Janet met Dorcas Wepukhulu,the ASb representative from Nairobi, and the three made plans to work together in Adama and hold yet another workshop in Debre Birhan, for a total of three ASb workshops altogether. The formats were similar to the one held in Debre Birhan in November, including the brainstorming sessions. Out of these workshops an additional six to eight stories were deemed publishable to the site. The premise of ASb is that literacy, in any language, is strengthened when the learner has a strong foundation in his/her mother tongue. Thus, the platform has books written in 153 African languages and English, which are freely available to read online, download to a device, or print in either a pdf format or as a booklet. A Creative Commons license, allows any of the books to be translated to another language with the original title receiving proper attribution. Ethiopia has about 80 languages, and three languages, Amharic, Tigrigna, and Afaan Oromo, are represented on the site. Of the 4388 translations on the site, 80 stories are available in Amharic, 44 in Afaan Oromo, and 31 in Tigrigna. 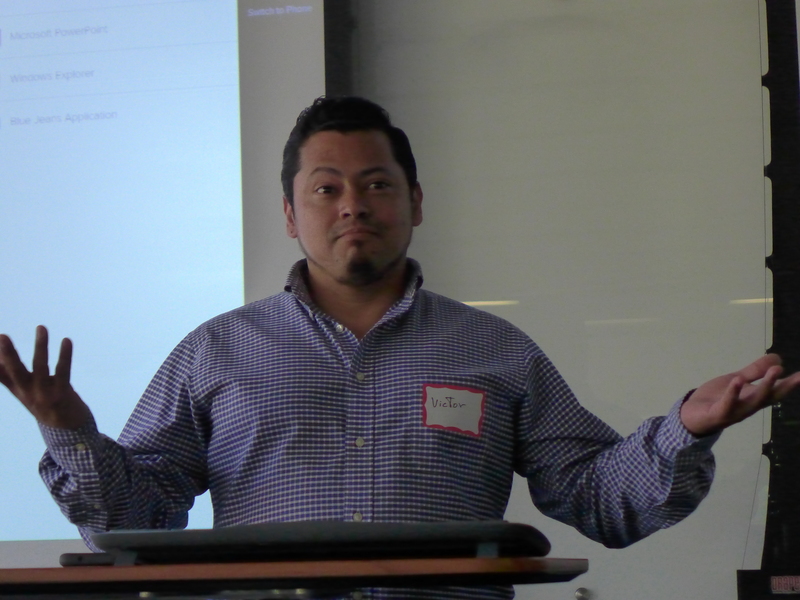 A conference on international librarianship in Colorado? Don’t libraries just serve their local populations? Yes, Colorado has an international airport with flights to places like Frankfurt, Mexico City, and Toronto, but are Colorado libraries and for that matter Colorado librarians international? Two enterprising Colorado librarians put out a call to other Colorado librarians to find out and the result was the receipt of a grant from the International Library Cultural Exchange Interest Group of the Colorado Association of Libraries and a conference, “Colorado Librarians Touch the World: An International Librarianship Colloquium,” held at the Auraria Library on the Auraria campus on Friday, July 13. 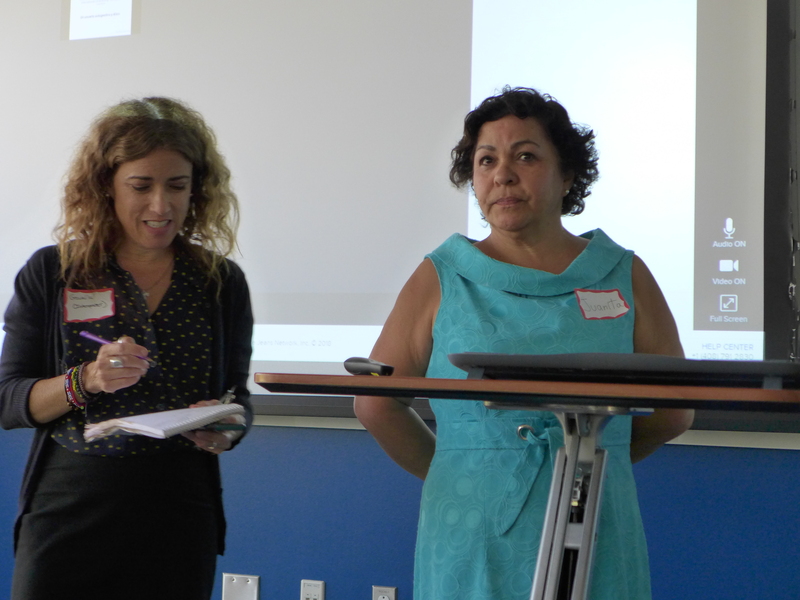 Rita Puig, reference and instruction librarian and Regis University, and Jimena Breton, Assistant Professor and Social Science Librarian at Colorado State University Library, attended the REFORMA conference in San Diego in 2015, a joint conference with Seguimos Creando Enlances, a yearly conference that brings together librarians from the United States and Mexico to exchange ideas and to build ties. 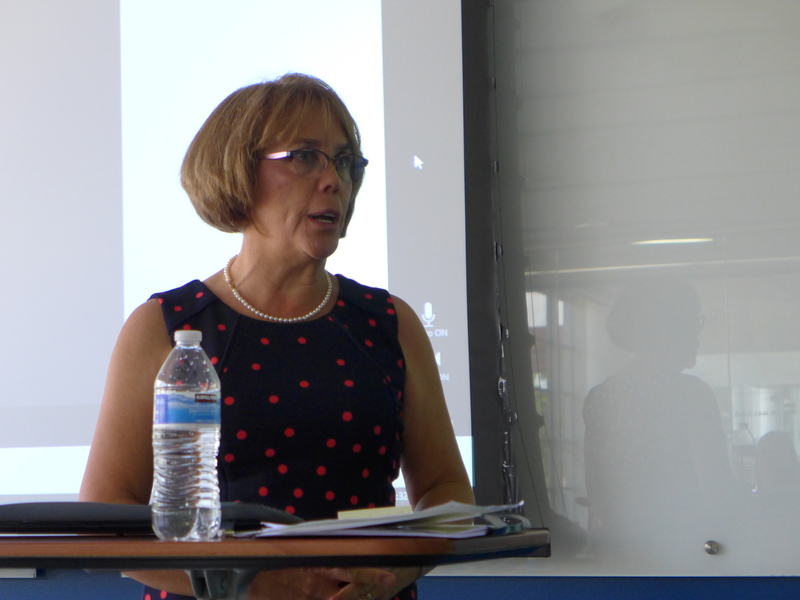 During the conference they had the privilege to meet Asunción Mendoza, dean of the library at La Salle University in Mexico City, and who at the time was president of AMBAC (Asociación Mexicana de Bibliotecarios, A. C.), the equivalent of the American Library Association in Mexico. 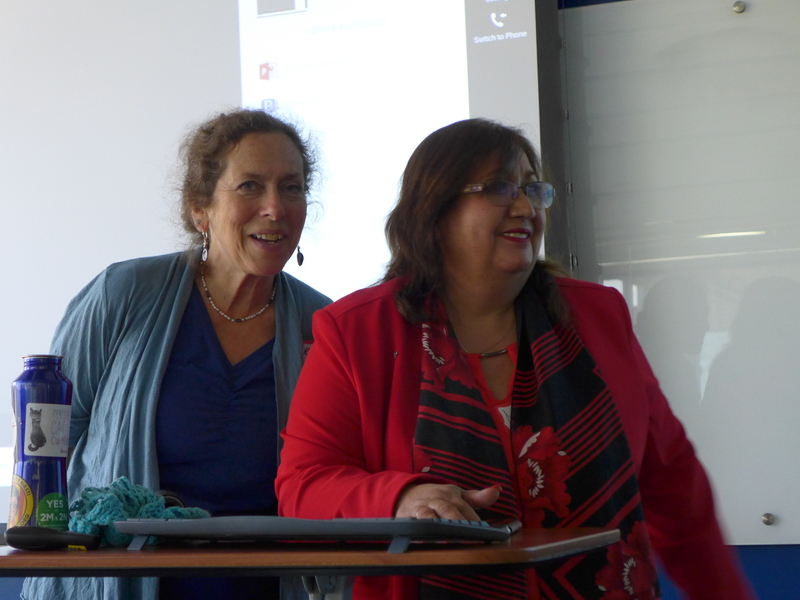 Since that conference, Rita and Jimena have traveled to Mexico a total of three times to present and share their work. As this relationship strengthened, Rita and Jimena looked for ways to bring their Mexican colleagues to the US to further exchange ideas across international borders. 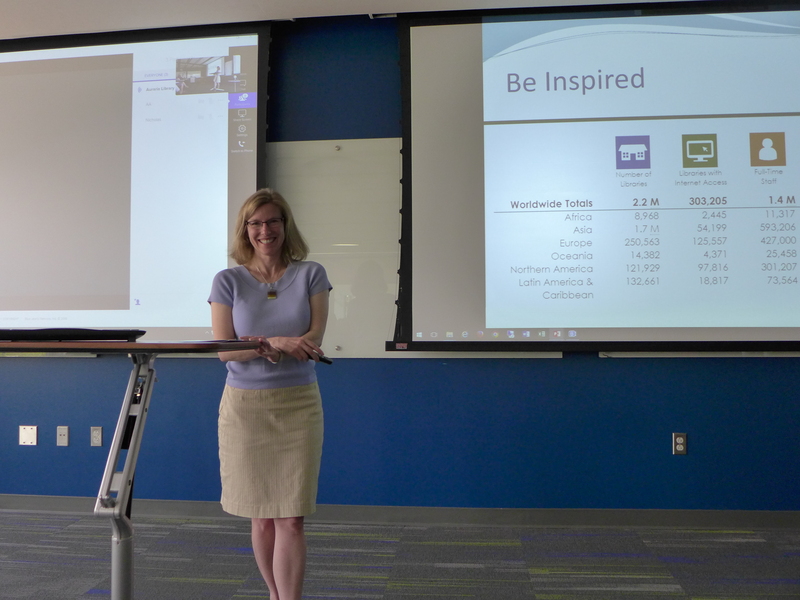 Last year, the duo applied for a grant from the International Library Cultural Exchange to fund a conference that would not only enable their colleagues to present but also for them to hear presentations from Colorado librarians with international interests and experiences. 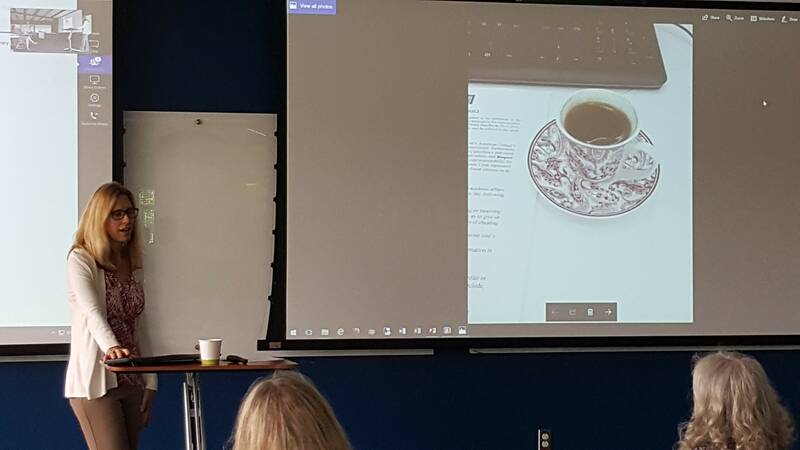 Through word of mouth and notices on listservs, they called out to fellow librarians seeking presenters and were pleased with the response, the resulting speakers who represent different continents, types of libraries, and literacy projects. Three librarians, Rosa María Mata Peña, Juana Rodriguez Sepulveda, and Asunción Mendoza Becerra, from La Salle University in Mexico City had an opportunity to travel to Colorado and tour several libraries and meet with the library staffs at Regis University, Denver Public Library, and Colorado State University. They soon discovered that they had friends and colleagues in common and much to learn and share across the border. They spent two days in exploration and relationship building with possibilities of future presentations and collaboration. They joined their fellow presenters the day of the conference. The organizers: Rita Puig, Research and Instruction Librarian, Regis University and Jimena Breton, Assistant Professor and Social Science Librarian, Colorado State University. 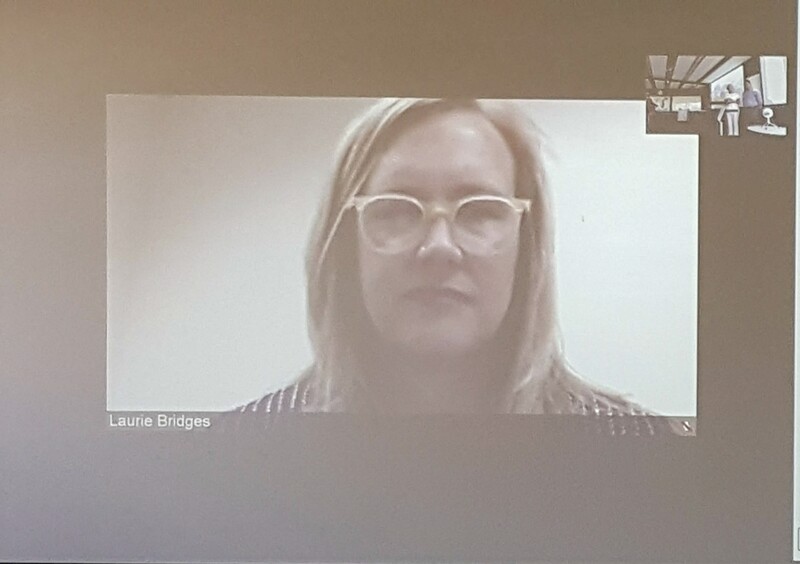 Laurie Bridges, Instruction and Outreach Librarian, Oregon State University. Virtual Presentation. Internationalizing: One Step at a Time. Michelle Marx, My Turkish Education. Beth Crist, Youth and Family Services Consultant. Colorado State Library. Around the World with Library: A Global Vision. 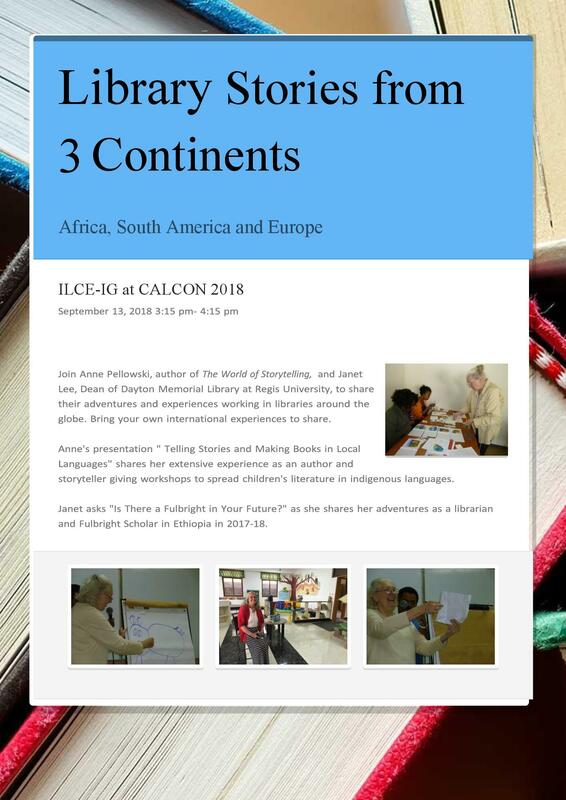 ILCE-IG Board member, Nancy Bolt, has an article in the latest issue of “International Leads” Check out: Library Services to People with Disabilities: a UN/IFLA Project.